Premium moisture-controlling wood and vinyl floor adhesive. This is a 5-gallon bucket. 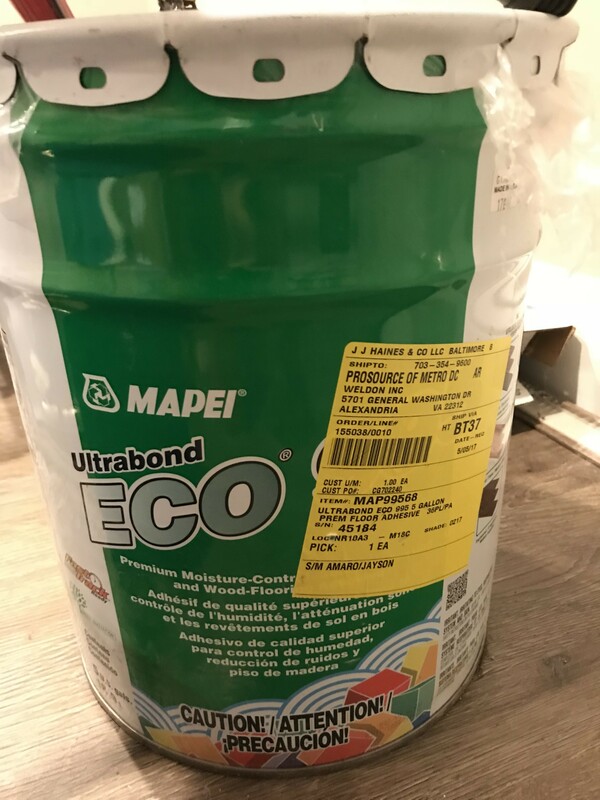 Mapei Ultrabond Eco 995.